One thing the Barons haven’t done in his tenure is win an outright Sunset League title. The boys shared the league title with Los Alamitos in 2014. The Griffins, who have won three straight outright league titles since then, have been the gold standard in the league. But that might change this year. 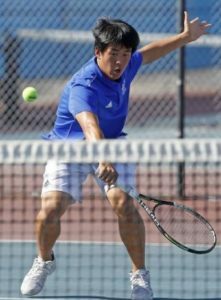 Fountain Valley earned a convincing 13-5 victory over Los Alamitos at home on Tuesday, taking over outright first place in league. 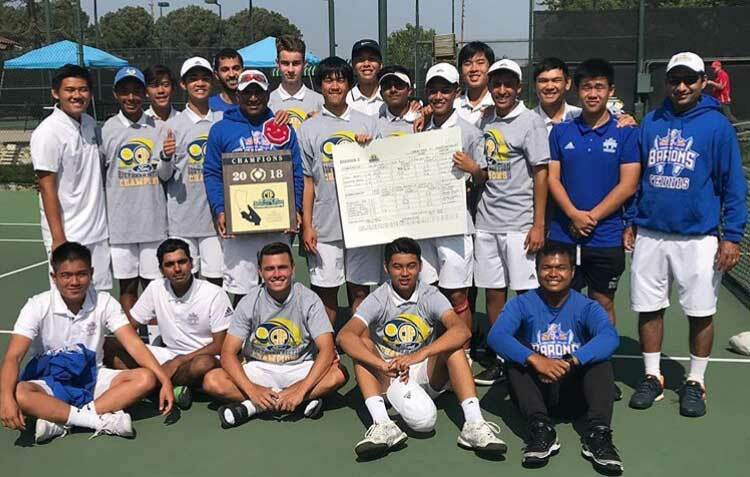 The Barons snapped Los Alamitos’ 38-match league winning streak. Fountain Valley was also the last team to beat the Griffins in league, earning a 10-8 win on April 21, 2014. The Barons (10-3, 5-0 in league) swept all nine doubles sets against the Griffins (7-4, 4-1). The teams of seniors Tommy Trinh and Justin Pham, junior Vivek Savsani and senior Brandon Keller, as well as senior Eric Tadros and freshman Kai Rodriguez, all won three times. 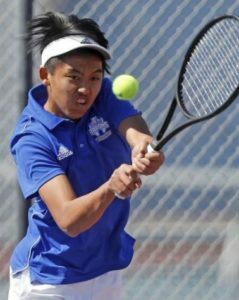 Patel said his doubles teams are all undefeated in league play, going a combined 45-0.